If you like lounging outside in your backyard or garden, building a DIY cabana is the ultimate way to create a wonderful retreat. Check out these 10 easy ideas. There’s nothing better than enjoying nice weather outside in your backyard or garden. To make yourself comfortable, make a real lounge area with a DIY cabana. A cabana is literally a small hut used as an outside retreat. 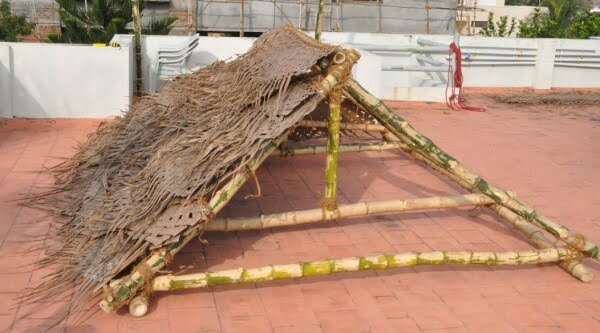 You can build this simple structure and be creative about it. As a matter of fact, even an outdoor canopy bed can work for a cabana. 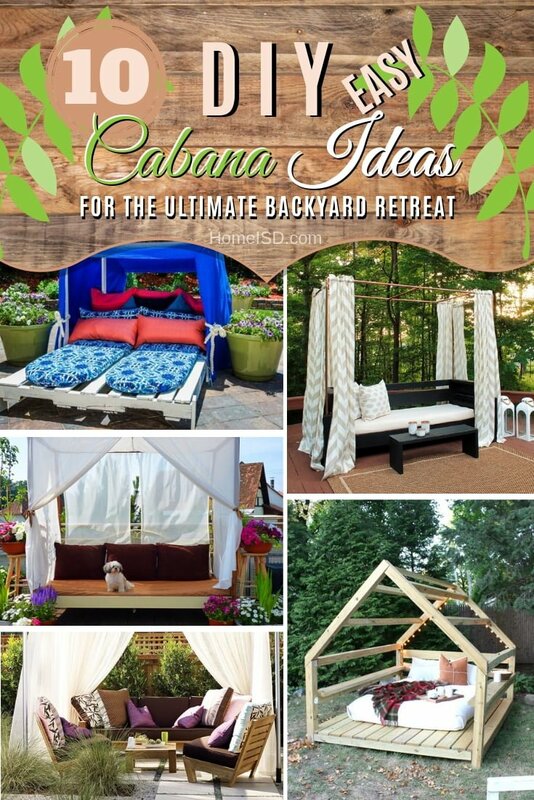 So check out these 10 easy ideas for a DIY cabana and get inspired! 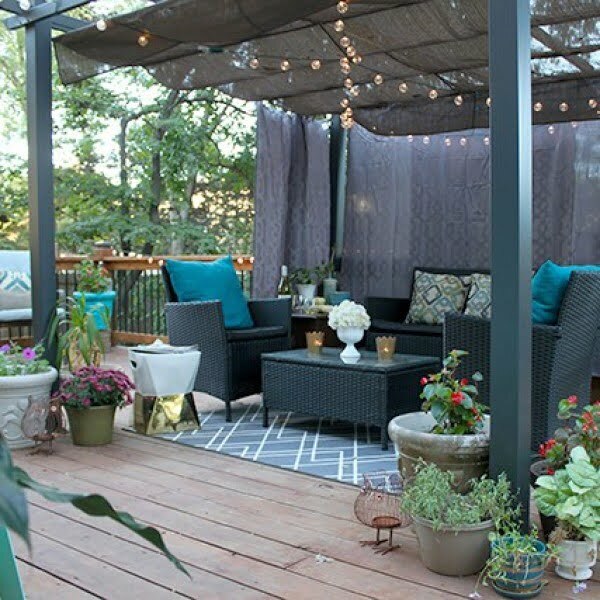 How to add an affordable cabana to your deck to make it feel cozy on a budget. You can also paint your outdoor seat cushions. Check out the tutorial to find out how to do it. Learn how to make your own DIY Copper Cabana. 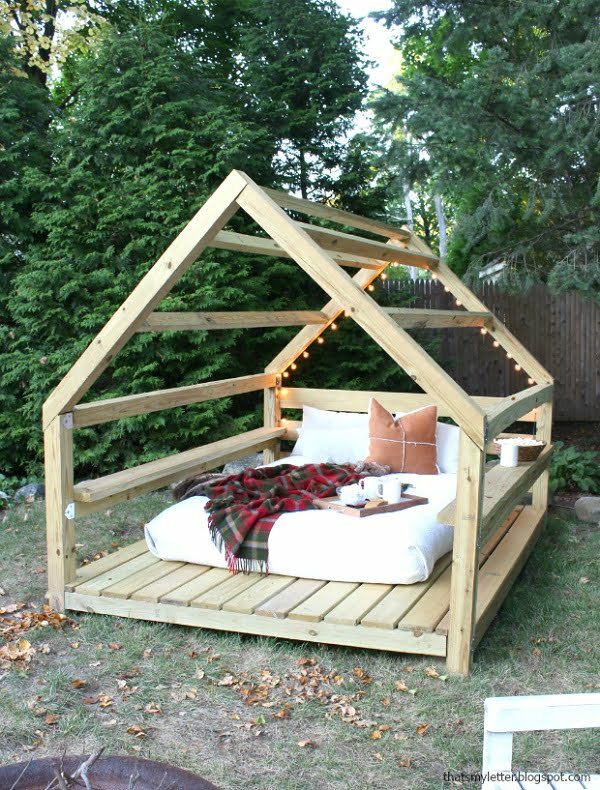 This stunning yet straightforward project can stay all summer outdoors and easily disassemble and store in the winter. Check out the tutorial to see how it’s done. Build this excellent bamboo cabana the easy way. Read the link to learn how it’s done. 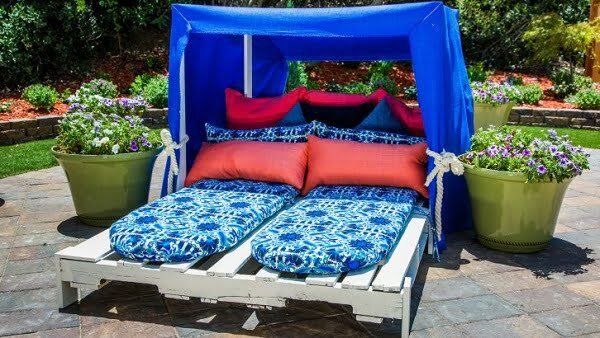 Try these DIY outdoor cabana projects and create paradise in your backyard. 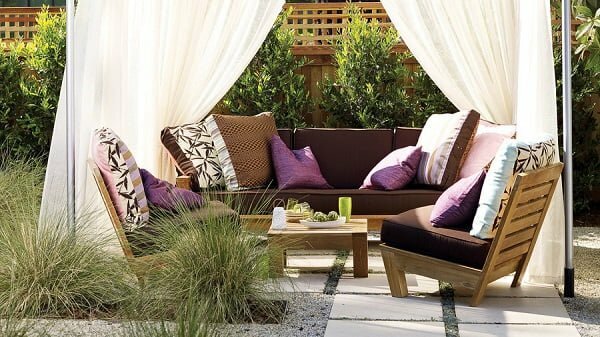 Outdoor daybeds, loungers with canopies and more. Read the link to see how to do it. 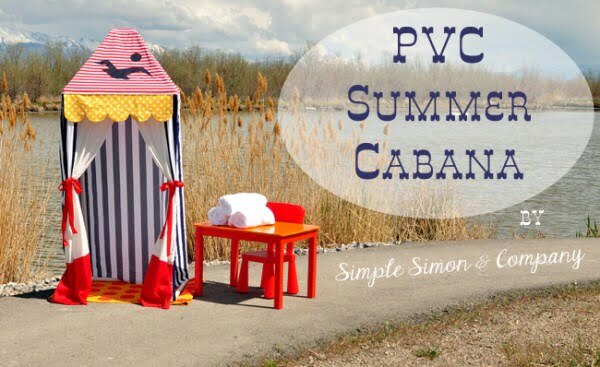 Make the DIY PVC pipe summer cabana by following the tutorial on a budget. See the link to find out how to do it. 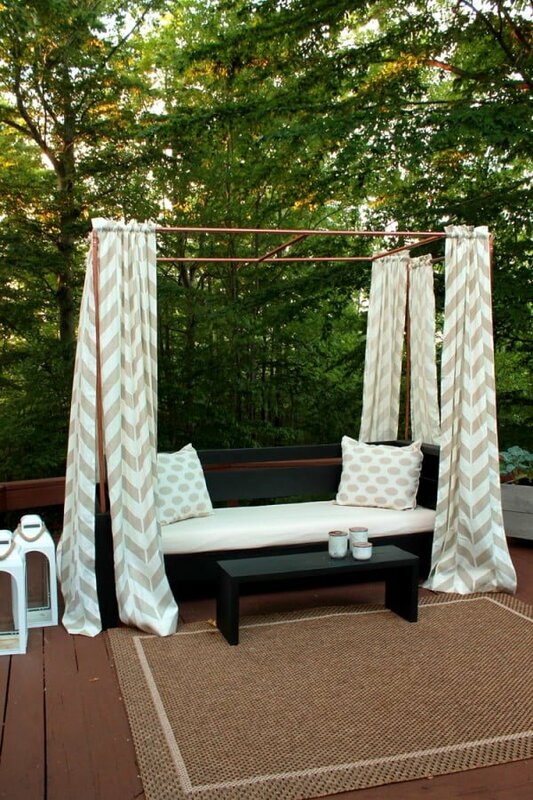 This DIY mini cabana is one of the coolest copper pipe projects ever. Build it for your deck or porch by following our step-by-step tutorial. See the link to learn how to do it. 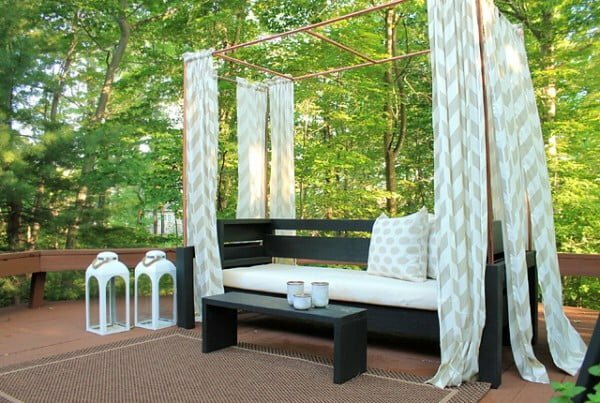 Build a beautiful outdoor lounge cabana in your backyard. This is a relatively easy woodworking project. You don’t need any special skills to complete it. 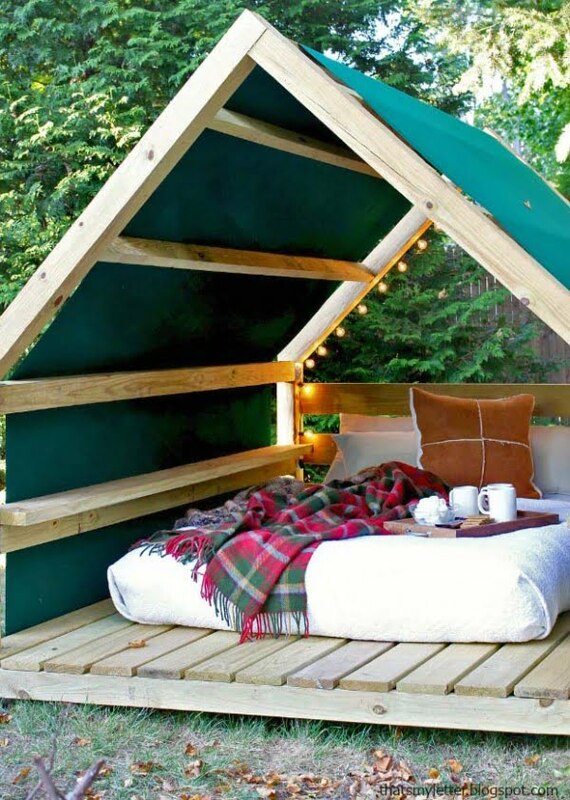 Create a beautiful retreat in your backyard by building this wooden cabana. This project includes the plans and lots of examples with photos. You can do it at home with minimal woodworking skills. A DIY cabana is a beautiful summer project, and you can start getting ready. This idea is for a DIY cabana from pallets. It’s a lot easier, and even beginners can do it. 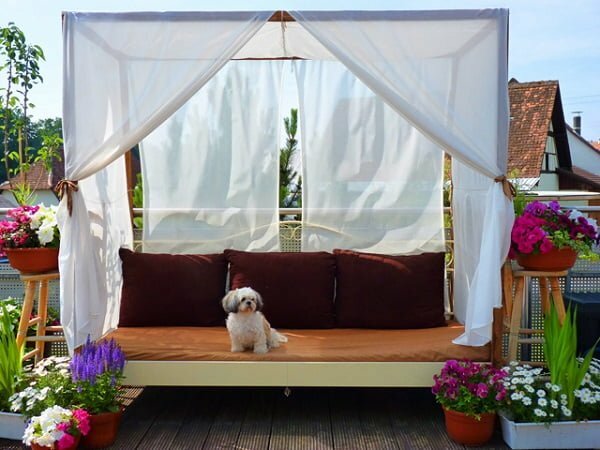 An outdoor canopy bed is exactly what you need to create a beautiful cabana and a lounge area. Check out this article for this excellent idea.